For well over 30 years, Seasons 4 has specialized in building custom multizone units. Where others may dabble in a market, Seasons 4 is immersed in it. Whether your need is a direct replacement of an existing multizone unit or a new custom multizone unit, Seasons 4 has a unit that is right for your needs. Two Deck multizone units – Seasons 4 still manufactures typical two deck multizone units. We rely on Emerson/Copeland digital scroll compressors and variable speed scroll compressors to provide modulation down to 30% of the lead compressors capacity where there was very little if any modulation in the past. In gas heating applications, Seasons 4 relies on Heatco tubular furnaces for 5:1 or greater modulation to meet your heating demands without waisting excess energy. 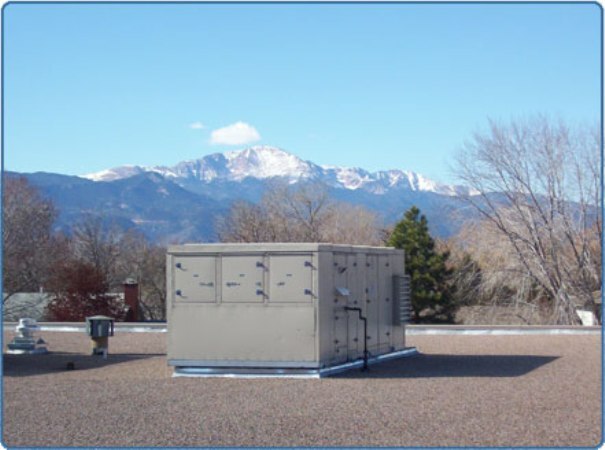 While it is true that the two deck unit does mix or blend potentially heated and cooled air together, adjustments in the sequence or operation can lock out the heating and cooling to avoid such a situation if codes demand such. We suggest using a hot gas reheat coil in this application to provide a first stage of “free” heat while the lead compressor is running. Three Deck multizone units – Seasons 4 also provides three deck multizone units. A step above the two deck model, a three deck multizone unit meets ASHRAE STD 90.1 by not allowing heated and cooled air to mix even though it might be running simultaneously. Heated air mixes with bypass air and Cooled air mixes with bypass air, but heated and and cooled air never mixes in this arrangement. Again we rely on the same components as we do with the two deck units. Three deck vav multizone units – “The Gold Standard” of multizone units. Seasons 4 takes the three deck multizone unit to the next level by adding variable speed drives to the supply and return blowers (if equipped). Because energy consumption is directly related to the speed of the blower motors, reducing the speed of the blowers during off peak conditions can dramatically reduce your energy costs. Curious about the operation of the three deck multizone damper? Give our video and description of operation a look here.